[EXCLUSIVE] Video: Step into the world of 'Olivia Twist' – AiPT! 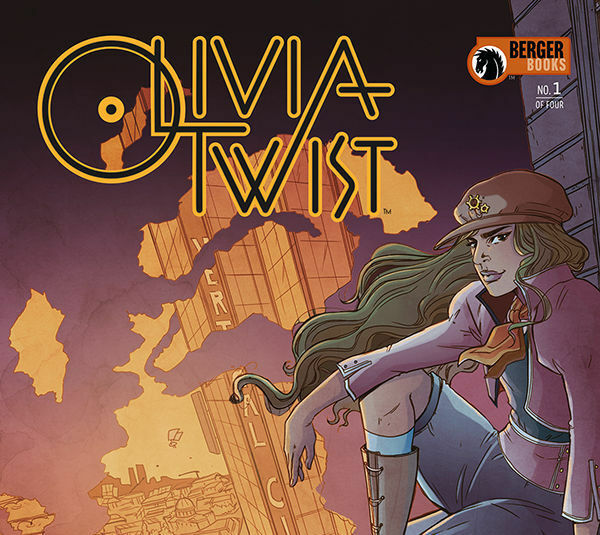 A new Berger Books series, Olivia Twist, is coming soon via Dark Horse Comics. This gender-bending series features internationally best-selling author Darin Strauss and the art of Emma Vieceli. The series focuses on Olivia Twist and her joining a gang of thieves to help save a boy she barely knows. It’s a sci-fi and fantasy twist on the beloved Charles Dickens novel Oliver Twist. Certainly, bookworms and sci-fi fans may need to check this out. The order cut off for comic shops is today with the series out September 19th. To save a boy she barely knows, teenage orphan Olivia Twist joins the Esthers, a rag-tag girl gang of thieves running free in a dangerous future. Olivia’s life in this London of internment camps and dark technology gets even more complicated when she discovers that she has more power and wealth than she’s ever dreamed of. But it comes at a great cost. – Debut comic by internationally best-selling author Darin Strauss. – Art by Vampire Academy and The Adventures of Supergirl artist Emma Vieceli. – The Dickens classic reimagined! – The latest from the Berger Books imprint!